This Sumoreads summary and analysis offers supplementary material to Man's Search for Meaning to help you distill the key takeaways, review the book's content, and further understand the writing style and overall themes from an editorial perspective. Whether you'd like to deepen your understanding, refresh your memory, or simply decide whether or not this book is for you, Sumoreads is here to help. 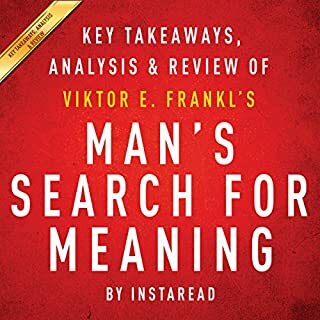 Victor Frankl's 1955 work Man's Search for Meaning is considered a modern-day classic - and with good reason. In late 2002, in the middle of an ordinary life, Falco, a thirty- five-year-old investment manager with a wife and two children, sought the answer to this powerful question. Remarkably, this quest resulted in a sudden and all-encompassing shift in his awareness that revealed more about life and how we each create it than he ever imagined knowing. Startled by this new understanding and its implications for his own life and the lives of all others, Falco set out to share his discoveries. The stunning result is this book. 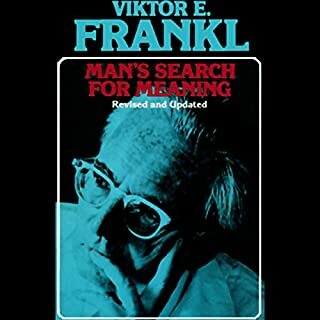 World-renowned psychiatrist Viktor Frankl's Man's Search for Meaning is one of the most important books of modern times. Frankl's personal story of finding a reason to live in the most horrendous of circumstances, Nazi concentration camps, has inspired millions. 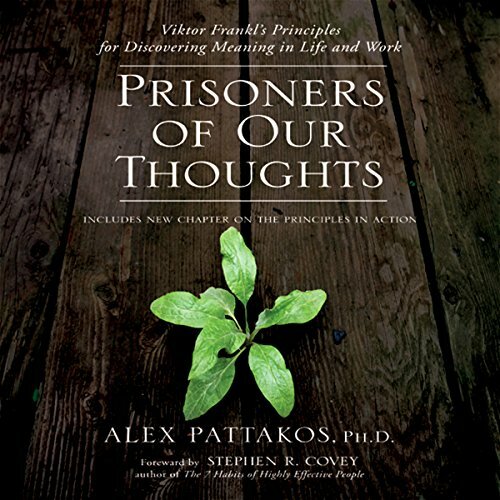 Now, Prisoners of Our Thoughts applies Frankl's philosophy to the workplace, detailing seven principles for increasing your capacity to deal with work challenges, finding meaning in your daily work life, and achieving your highest potential. Through stories, examples, and thought-provoking exercises, Pattakos illustrates how you can apply each of these principles to various work situations and everyday life. As Dr. Frankl would say, only we, as individuals, can answer for our own life by detecting the meaning at any given moment and assuming the responsibility for weaving our own unique tapestry of existence. The search for meaning at work offers us both formidable challenges and ample opportunities. 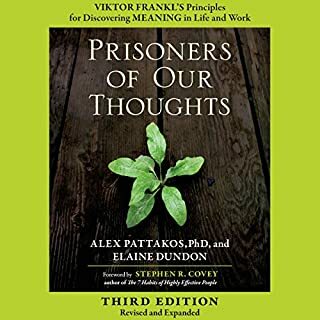 Prisoners of Our Thoughts makes Frankl's seminal work accessible and relevant, opening up new opportunities for finding personal meaning through work and living an authentic life. The book is useful and mildly inspirational. However, throughout the reading the reader's mouth was too close to the microphone. His mouth noises were almost too much for my sensitive ears to stand. I had to listen using speakers and not earphones. This is the one factor that took away from my enjoyment. But the book is good literature and worthwhile. This book is a lukewarm regurgitation of Victor Frankl's book. Everything after author's first principle (name ten good things about your current or future situation) was just filler. This could have been covered in a single paragraph. I almost made it to the end hoping that it would contain some gem of wisdom, but had to cut it 15 minutes short to avoid the author's egotistical ramblings. Read by the author in an annoying wet-noodle, milk toast Tony Robbins style. Most of the quotes from Victor Frankl's book were mumbled in a low almost inaudible voice. The nicest thing i can say about the narration is that it was very annoying. This audio is creative, powerful and full of wisdom. A must for anyone in the workplace who feels like they are stuck in a rut. It has made a big difference in my attitude and has helped me find connection and happiness at work. This was a tough book for me to get through. In fact, I have yet to muster the strength to do so. The writer is very passionate about his subject and is very knowlegable, but I am not sure if the low quality recording or the lack of a professional narrator did him justice. Great! 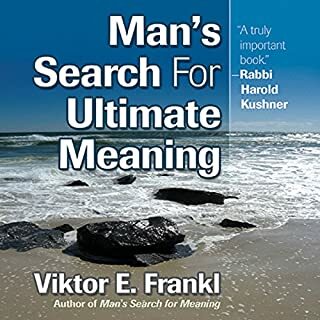 With Viktor E. Frankl "Man's search for meaning", those two books opened my eyes on limiting constraints I placed on myself and made me understand what the word meaningful really is, from soul to heart to guts. 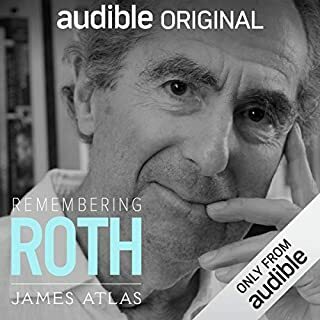 Inspiring, this book just made me feel "right" during the whole listen. I listened to it twice in fact, just to get inspired again. Viktor Frankl is a psychiatrist of some renounce (perhaps one of the top 50 names in the field). He is well known for his book, "Man's Search for Meaning"; which argues that meaning is found in service and that meaning is the seminal thing in life. Perhaps that meaning is the meaning of life. The author was a student of Viktor Frankl's who appears to have developed short course for business types (sort of a motivational speaker series talk) on applying the works of Viktor Frankl to life or to business. This book appears to be a repackaging of the short course. As is typical of genre the result is more affective then insightful. However, I tried several of the proposed excursuses and was surprised at how valuable I found them. 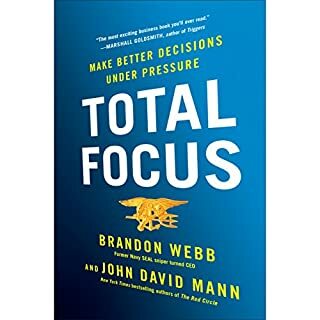 So although what the book actually says is somewhat disappointing, the exercises (e.g., make a list of people who have most influences you and answer the following questions about them) seemed unexpectedly good.